KoopaTV: Paper Mario: Color Splash — Episode 3: Infiltration! Blue Toad is pretty much acting as a ninja. This isn't him trying to be a Metal Gear reference. Look how he's dressed! Ninja! Meanwhile, I look SUPER COOL as a partial silhouette on top of the secret weapon — which turns out to be a pirate ship. That makes me the pirate captain, and I apparently have a bunch of Shy Guys as crew. Personally, I'd prefer Koopa Troopas, but I suppose I'll have to make do. YAR HAR HAR. It's Captain Ludwig Von Koopa! Quick review: Toads are ninjas. I'm the pirate. If you weren't around a year ago, I wrote an article about the Pirates vs. Ninjas Splatoon Splatfest. I sided on Team Pirates — good decision by me, since Team Pirates won. I outlined reasons why pirates are better than ninjas, and why I, Ludwig Von Koopa, sided with pirates over ninjas. Intelligent Systems paid attention, and now we have Paper Mario: Color Splash where I'm on Team Pirates against Team Ninjas (Mario and Toads). Everything else we've seen so far from Paper Mario: Color Splash shows that very high attention to detail. That is a very good indicator of the overall quality of the game. Plus, you cannot say that Paper Mario: Color Splash is doing a bad job with characterisation when we clearly see characterisation happening before our eyes. Well, this Rescue Blue twerp's eyes are closed, as he's smugly predicting that my water-based Doomship is about to be destroyed. It's not only clear characterisation, but it's also consistent. This is very different than Paper Mario: Sticker Star, where they just threw out prior, series-established characterisation in favour of being...um... bad. in me having a “HANDS UP, DON'T SHOOT!” pose with my eyes closed when I'm defeated. I declare... The era of bad Paper Mario games is over. I will see personally to that. That is what my SECRET WEAPON is for! Just do me a favour and never use any Tanooki or Super Leaf cards or anything like that. Ludwig's articles on KoopaTV are usually about his opinions and thoughts on games, not his opinions and thoughts about his presence in games. So he was giddy writing this. Did you pick up on that? Follow Ludwig on Miiverse at NNID PrinceOfKoopas. Over 500 other people already have, and he plans to create a Miiverse-exclusive drawing/screenshot based off of Rescue V: Episode 3 in the very near future. Here are Ludwig's thoughts on him being playable in Mario Kart 8. Ludwig's thoughts on his official trailer for Super Smash Bros. For Wii U were him thinking Sakurai has something against him. Watch the first episode of the Rescue V Toads here. Read KoopaTV's crazy live reaction to the first Koopaling confirmed to be in Paper Mario: Color Splash: Morton Koopa Jr.
KoopaTV staffer Kamek is in this game, too! As is Prince Iggy! And they're acting appropriately as well. The formal Episode 4 article is here, along with Ludwig's dad. 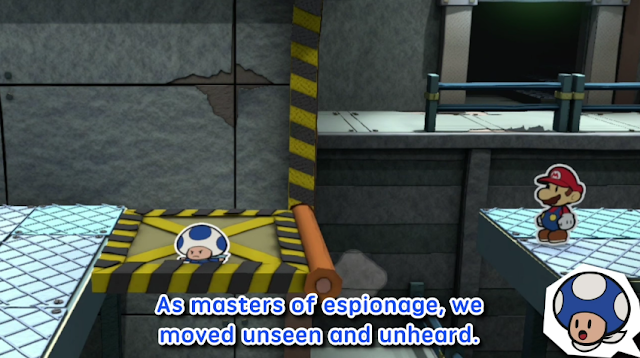 Pirates show up in Episode 6 as well, but they're Toads. 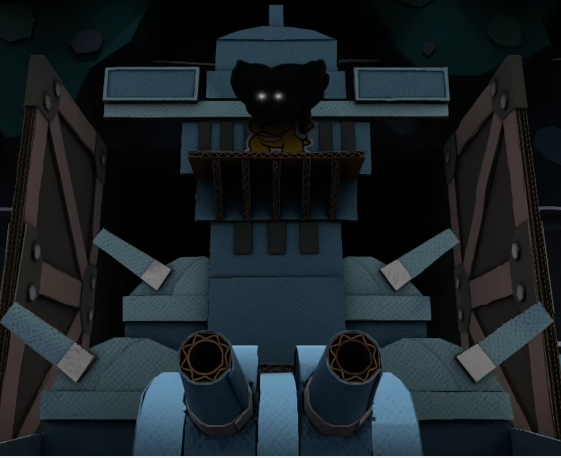 The Paper Ludwig avatar appears once more in Ludwig's review of the secret base: Fort Cobalt! Yes, he reviews his own fortress. That is an amazing "coincidence" that you represented the team you chose in a Splatfest while the enemies chose the other side. Now will they be as inept as the actual Team Ninja? Well they are "heroic" NPCs which means they must be failures to make the "hero" look good so I would say yes, they will be as incompetent as the Splatfest team. Oh, coincidence is in scare-quotes, huh? You think that I knew this was going to happen a year ago, and that I chose my Splatfest team accordingly? Rather than this happening based on my Splatfest decision? I hope they're inept. I don't want to lose. With his high intellect, it is no surprise to see Ludwig be promoted to the captain of the Shy Guy pirates. Despite being constructed out of paper, Ludwig is capable of overcoming inconveniences such as water and using them for his own advantage. Mario is simply inadequate when he comes to face off against the greatest captain of them all. What was shown in the video was a merely a setback at most. Captain Ludwig von Koopa does not go down that easily. Ahem! In all seriousness, Rescue V has improved my feelings toward the game. I hope these characters appear with these personalities and similar antics in the game itself. 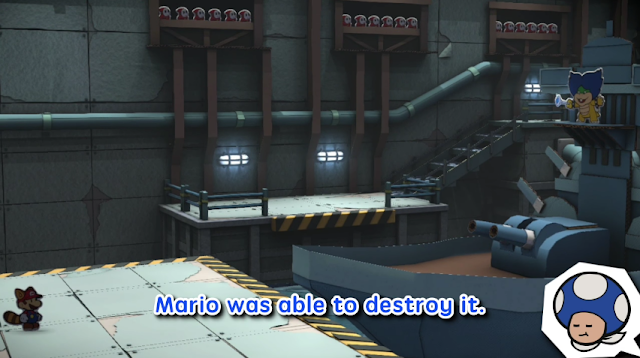 This is probably paranoia fueled by Sticker Star, but it worries me that the Rescue V videos mostly have the Toads narrating while the actual Toads in the game footage remain silent. ...Sorry, you're just jealous there's no Paper Alienhard. I believe we discussed in the past the difficulties and undesirability of having a trailer involve extensive in-game dialogue. So, to alleviate fears — and understand that they specifically chose to have the Rescue V videos instead of any number of more traditional options — they dedicated a whole video series to dialogue, writing, and characterisation, that is made into a coherent, purposeful and directed series that people would want to watch every video of. Sticker Star, mind you, had talkative Toads as well. They didn't silently do zany stuff. I know what I'm talking about from first-hand experience! Hey... You think me... A King. Same if you are pirate. ...Could you please rewrite that in clearer English, Gumiya?